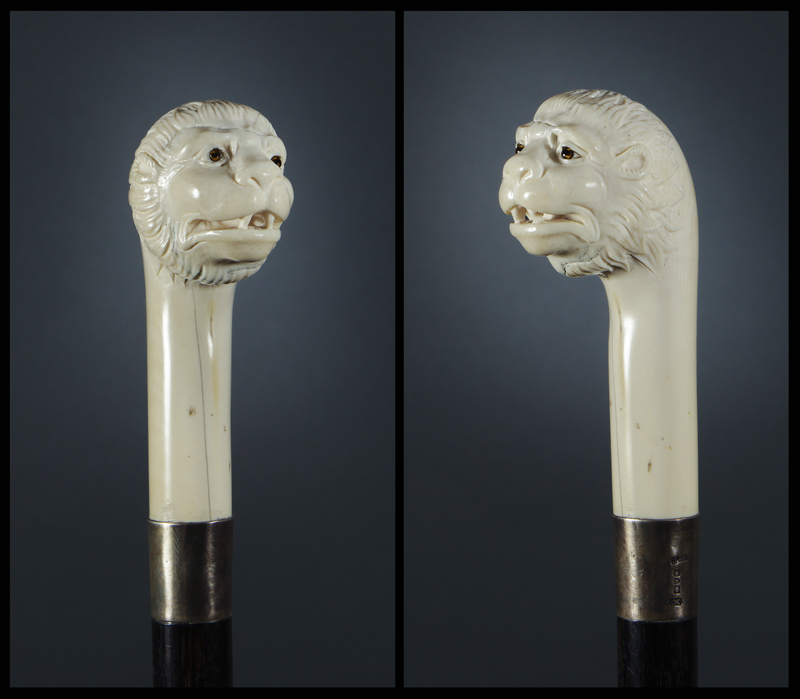 Ivory cane of an ape. The elephant ivory handle is 4 1/4″ high and 2″ to the side. It depicts a detailed head of an ape, or possibly a stylized lion, with yellow glass eyes and fangs bared. There is an owner-initialed sterling collar dated “1899” and marked “Brigg”, along with London hallmarks for the same date. The shaft is ebony with a 1 1/8″ white metal and iron ferrule.